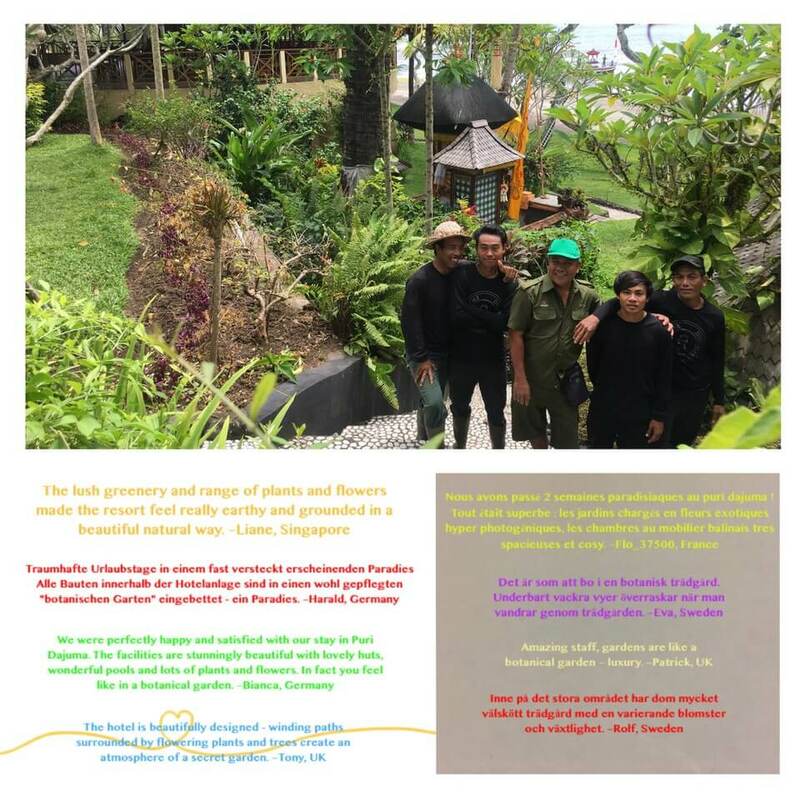 This week, we are happy to stage our extraordinary team of gardeners, incredible artists who, day after day, make our 1.5 hectare park a real paradise for the greatest pleasure of our guests, as evidenced by the texts below. Many thanks guys for your talents and commitment! On the picture from left to right : Gunaya, Umar, Yuliartha, Zikin, Mudita who just finished a new hedge above our main temple.